A certifiable modern pop icon at barely 21, New Zealand’s Lorde has managed to turn personal, poetic, sad, and artsty indie pop into an arena-worthy musical sensation, boosted by last year’s masterpiece of a sophomore effort, Melodrama. It’s been four years since her last Nashville outing, but that finally changes April 15, when Lorde plays Bridgestone Area with beloved alt hip hop duo Run the Jewels and buzzy indie rocker Mitski. Sure to be one of the year’s best shows, tickets are still available right here. Or, if you’d rather leave it to chance, we’re also giving away a pair of tickets to one lucky fan. Either way, you can enter below, and read on for way this is a must-see show! Though she’s only properly played Nashville once, way back in 2014 at the Grand Ole Opry House, Kiwi indie pop sensation Lorde most recently wowed us with a stunning set at last year’s Bonnaroo. Born Ella Marija Lani Yelich-O’Connor in Auckland, the singer, drawn to performing at a young age, inked a major label development deal in her teens, and catapulted to international acclaim with her 2013 debut single “Royals,” ahead of her Joel Little produced, critically-acclaimed, record setting, and award-winning debut Pure Heroine. 16 at the time of the LP’s release, Lorde’s dreamy, artsy, electro-laced indie pop sound and poetic, wise-beyond-her-years style helped the singer immediately cement her status as one of music’s most important new artists, and several years of touring, additional well-recieved tracks (her Hunger Games contribution “Yellow Flicker Beat” was especially prominent), festival spots, awards show appearances, and continued praise helped cement Lorde’s image as a pop icon for the modern age. After dropping off the grid for a bit (a stunningly authentic artist, Lorde has always seemed a bit averse to prolonged media attention), she remerged last year with Melodrama, a bold, devastatingly sad, exceedingly confident masterpiece of personal and artistic growth, executive produced by both the singer herself and Jack Antonoff. 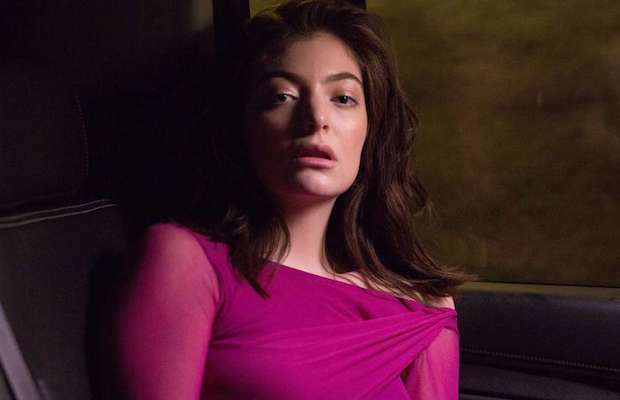 Over nearly a year since, and boosted by another string of huge singles like lead track “Green Light,” Lorde has continued hcr journey to become both a substantive and beloved figure in pop, and a mainstream musical powerhouse. Her live show’s never been better, and this is an especially important and transitional time to see one of indie pop’s most promising young performers live. It wasn’t long ago that Mitski was rocking spots like The High Watt and The End, but after the breakout success of 2016 fourth album Puberty 2 (and especially single “Your Best American Girl”), showing up on a lineup likes this seems like a logical and well-deserved next step (and a testament to Lorde’s good taste). Fusing punk and even some folk influences into confident, cool indie sound, Mitski come onto the scene with her 2012 debut Lush, and really won over critics and fans with 2014’s Bury Me at Makeout Point. We can’t stress enough how great everyone playing this show is- don’t be late! Winner will be announced Thursday, April 12 at 2 p.m. CDT, and will receive one pair of tickets. Good luck! Win Tix to Lorde at Bridgestone Arena! Lorde, Run the Jewels, and Mitski will perform Sunday, April 15 at Bridgestone Arena. The show is all ages, begins at 7 p.m., and tickets are available to purchase for $39.50-99.50. Don’t Miss Seahaven | Tonight @ Cafe Coco!